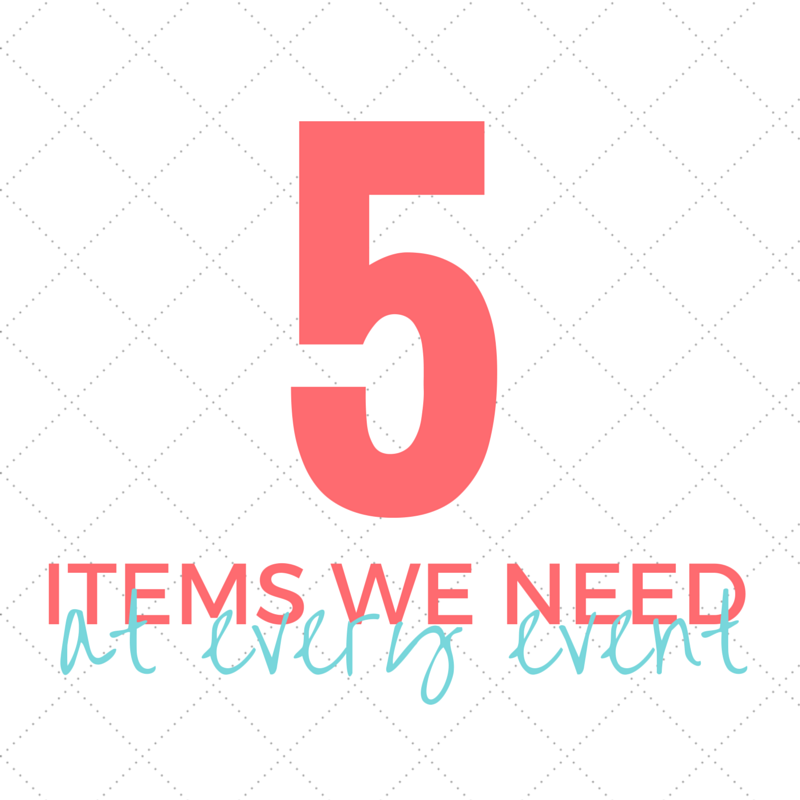 Boldly Chic Events: Our Top 5 Emergency Kit Must-Haves! Our Top 5 Emergency Kit Must-Haves! We run into so many situations, that are unique to every event - in which we are SO thankful for our stocked-full "Emergency Kits" (as we so appropriately call them). They are the size of a large carry-on suitcase and have a million pockets with zippers & Velcro compartments. Before every event we insure all kits are extremely organized with all of our must-have, most-used items completely stocked and right on top! Our team is always spread out on wedding day to insure every single detail is coming together. Yet, we still need to be in constant communication with each other, so these are extremely vital for a flawless wedding day. Also, a gadget clipped to our belt with a wire to our ear is just fun - let's be honest. We can never have enough safety pins. If I think back to every wedding or event, I'm certain that these have come into play every time. A clasp breaks, a zipper busts, ugly straps are showing, linens need to be pinned, you name it. These little guys are a MUST! You'd think it would be hard to come up with items that need the use of scissors on an event day, but in our world it is not. There may be boxes to open, items in plastic packaging, tags on clothing, loose strings on dresses, etc. We always have to keep these close by! Have you ever been to a wedding without candles? - I doubt it. The more lighters we have on hand, the quicker we can light every single one of them! However, somehow we always end up coming back with less than what we packed. Just like losing socks in the dryer - where do they go?! Of course, we have an entire First Aid Kit - but bandaids are our #1 item out of this kit. These are especially handy for those uncomfortable new shoes. And yes, I have used some on myself before (I can be clumsy with our #3 "must have" listed above). Needless to say, we would be lost without our E-Kits.